Bluegrass Horse Feeds are focusing on the important of correct feed storage with a helpful print out guide for horse owners to put in their feed rooms. Rancid feeds are an owner's pet hate, not only does it create an unwanted expense, but it can cause inappetence and health issues. Firstly, it is important to understand that the type of feed will affect the shelf life, a cube or pelleted feed will have a longer expiration date than a mix, due to the lower moisture content. These factors can affect all types of feed in different ways, for example high humidity can cause haylage to produce mould and fungal spores if exposed to air or rodents can contaminate hard feed by chewing through bags or getting into feed bins. 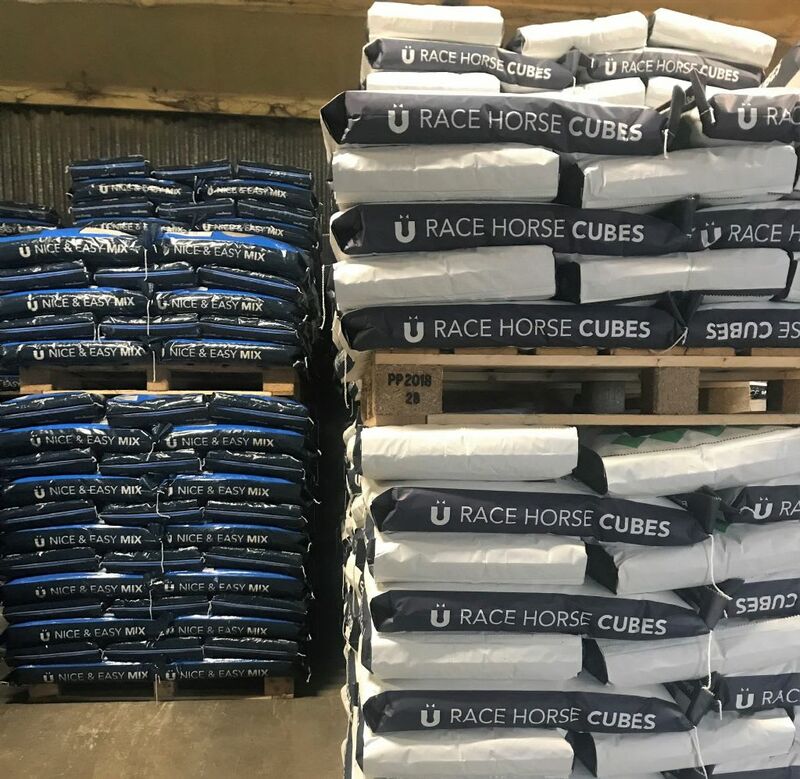 Bluegrass Horse Feeds have recently changed their feed bags to a higher durability designed to avoid ripping during transit, some products however, will remain in paper bags. It is important to note that water damage can still occur if they are exposed to moisture through the bag seam. If your feed has obvious mould present, a bad odour or discoloured, it is important not to feed this to your horses. Often, they will refuse to eat it, however if consumed it can cause health issues. Bluegrass Horse Feeds customers can be assured that all raw materials are tested and cleaned before entering the milling process. Bluegrass products also contain mycotoxin binders designed to decrease the occurrence of mycotoxins, which are naturally occurring in feeds. Click here to download your free feed storage guidelines from Bluegrass Horse Feeds.